The world of whisky can be equal parts intimidating and exhilarating, but step into a whisky bar as a novice and you’ll realise its specialised terminology can be confusing enough to illicit sweaty palms and nervous stuttering when ordering from the bartender. However, this very world can also be a wonderful journey of discovery, especially if you know your basics. From the fundamentals like what a “wee dram” actually entails and why whiskies from the Highlands and the Lowlands taste different, to how peat lends its distinctive smoky smell and taste, here is the most important whisky terminology to get acquainted with before your next tasting. Abbreviated for “alcohol by volume”, the term is a standard measure of the percentage of alcohol level in spirits. Typically, new make spirits have an average strength of 68 percent ABV coming fresh off the still. 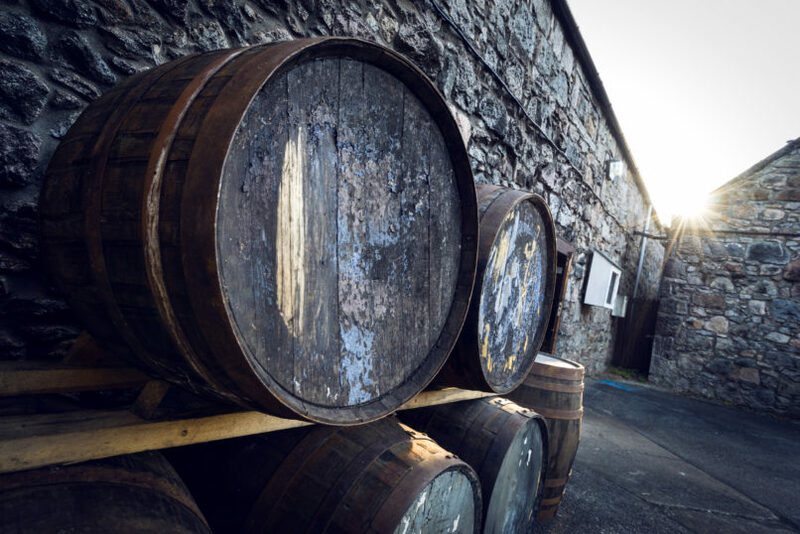 The alcohol starts evaporating as soon as it is poured into casks and left in warehouses to mature, and is only left in casks until the bottling — if it is to be bottled at cask strength. Usually, the whisky is reduced with water to the desired alcohol level if sold at 40 or 43 percent ABV, whether as a blended or single malt. While these numbers matter in the manufacturing process, ABV strength ultimately remains a personal preference when you’re enjoying the whisky. An affectionate nickname for the evaporation of alcohol during the aging process. The harmony between wood and whisky has created some of the most exquisite pours ever, but like with every good marriage, it comes with a catch — an average of two percent of the total volume is lost every year in the cask. While this is a considerable loss for whisky producers (and an obvious win for the celestials), this phenomenon is unavoidable in the maturation process between the whisky and cask wood. A Scotch whisky measure that, while not officially used, is most often referred to as “the amount of whisky you could swallow in one mouthful.” First described as a glass of whisky in Scotland, its definition has taken on several interpretations, including the measurement of an eighth of a fluid ounce by American standards, which could be a slightly disappointing pour if you are at a bar. Also known as ‘barrel proof’, the term refers to the natural alcoholic strength of the whisky straight from the cask, before it is diluted to make the usual 40 to 45.8 percent ABV. Some whiskies, however, are proudly bottled at their original cask strength (which can vary from 40 to 65 percent ABV), bringing a different flavour profile to the table when one gets to taste it before and after dilution. The older the whisky, the lower its ABV will usually be, although you can still find exceptions in fine old cask strength whiskies at more than 60 percent ABV. As part of the production process, Scotch whisky is matured in casks for several years, from which they get most of their final flavour. While some make their debut as American bourbon casks before being shipped to Scotland, others started their life housing Spanish sherry, both providing vastly different noses and taste to the Scotch. Often likened to a small masterpiece, a wooden oak cask is manufactured by hand, and factors such as the wood’s age and grain direction are taken into consideration. Two different species are commonly used: The American white oak and European oak. The former provides mellower and more contained aromas, while the latter is favoured for giving a full, intense aroma to the mix. 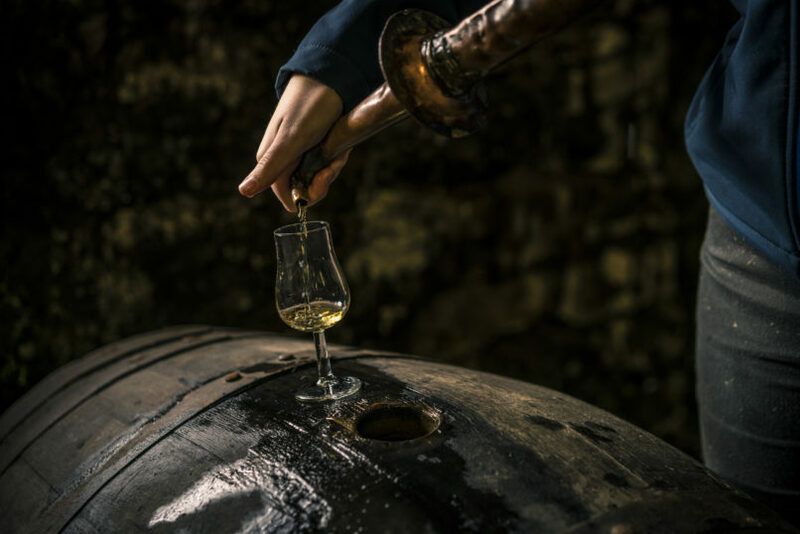 The casks can be used three to four times before the wood loses its flavour, and maturation can vary in years, sometimes with a duration as long as 70 years. Often richer, fruitier, and with a deeper flavour than their bourbon counterparts, these whiskies are especially prized not only for their transcendent aroma, but also because the demand of sherry casks often outnumbers its supply. The fortified dry white wine from Spain is made specifically from white grapes that are grown in Andalusia, and it modifies the flavour compounds in the oak casks, lending a unique sweetness to the Scotch which ages in it. Now synonymous with whisky production, the Scottish Island sits just off the west coast of Scotland, with numerous distilleries producing the distinctively peaty single malts we all know and love today. The 40km long and 32km wide island is the perfect amalgamation of peat moss and heather-covered hills, and enjoys more sunshine despite being subjected to unforgiving gales from the Atlantic. The high levels of peating of the barley — mostly done on Islay in Port Ellen maltings — give the malts here their distinctive smoky flavour, alongside notes of iodine, seaweed and salt from the water, which is used during the production process. A historic region that’s dominated by mountain ranges and the Caledonian Forest, the Highlands is Scotland’s biggest region, and spans from just north of Glasgow up to the northern islands. Its unique mish mash of terrains that include lochs, imposing peaks and gentle glens lend a variety of styles to the whiskies produced here. For several whiskies, their big flavours — often with spicy and robust aromas — come courtesy of high-altitude distilleries, which distil the precious liquids in very cold conditions and use mountain water during the process. 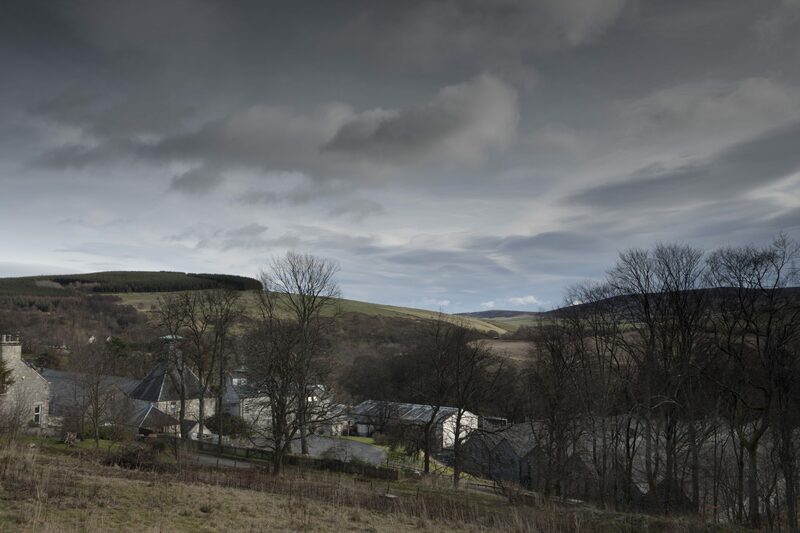 The highest distillery in this region is Dalwhinnie. Unlike the Highlands, the Scottish Lowlands’ abundance of arable farming land gave rise to a number of large-scale and industrialised distilleries. Covering the Central Belt and the South of Scotland, including Edinburgh and Glasgow, the region produces light-bodied spirits that are unpeated and in rare occasions, triple-distilled. Grassy, zesty and occasionally floral with a dash of cinnamon and toast notes, the Lowlands are famous for easy-drinking whiskies. 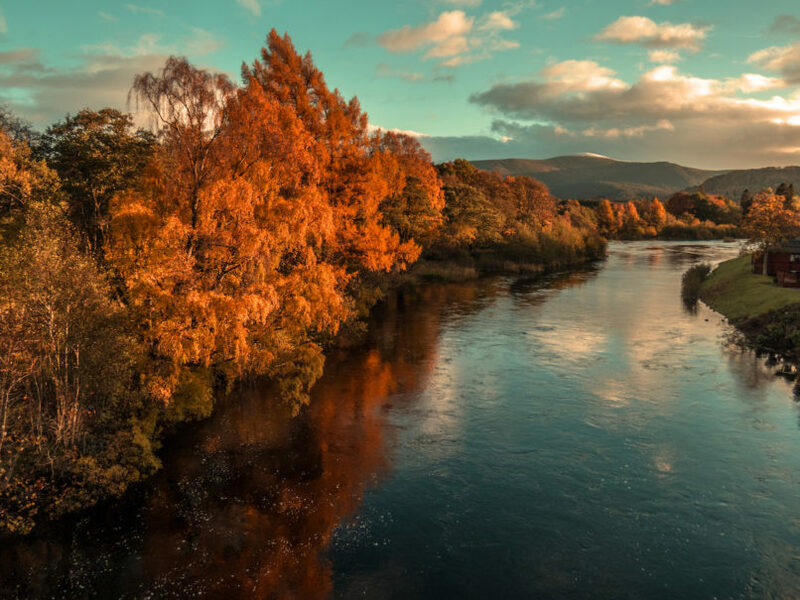 Autumn colours on the River Spey in Scotland. With about 50 operating whisky distilleries, Speyside is the largest whisky-producing region of Scotland. The sacred area — named after the famous River Spey which bisects it — has more than half of Scotland’s distilleries lodged between the cities of Inverness and Aberdeen, and spans with views that range from granite mountains to expanses of fertile land bearing crops such as barley. The region’s water also plays a part in the apparent abundance of distilleries; the low levels of dissolved minerals make it ideal for mashing. Classic flavours that accompany Speyside whiskies include the sophisticated sweetness of vanilla, honey, fruit cake, and ripe green fruits such as apples and pears. The delicate floral and caramel aromas are light and balanced, though smoky notes sneak their way in occasionally too. Though it goes by the rather unappetising definition of “carbonised, decayed vegetable soil compressed over centuries”, peat is extremely important in the whisky industry for the distinctive smoky aroma it lends to the spirit. When malted barley is burnt to dry, its thick smoke is absorbed into the grains, and the flavour carries through the rest of the production process, up until the bottling of the whisky.